In recent decades, Dhaka, the capital of Bangladesh, had 58 canals flowing through the city, fed by surrounding rivers and lakes. A recorded 50 of these canals worked as the city’s drainage system. The majority of these canals have since disappeared, with the remaining 26 listed to be in an environmentally ‘critical’ condition. A report released in 2010 by the Parliamentary Standing Committee on Ministry of Environment & Forests stated that 50 canals in Dhaka had greatly diminished or disappeared due to: unauthorized land filling, encroachments, illegal construction, expansion of slums, solid waste dumping and the lack of maintenance of box culverts. In 2015, the World Bank released a report that predicted the damage from water logging in the city of Dhaka, between 2014 and 2050, could reach Tk 11,000 crore. When taking into account the foreseen increase in heavy rains, as a result of climate change, the estimated damage in Dhaka could exceed Tk 13,900 crore. Authority’s have yet to implement any effective measures to protect and restore the city canals. As a result of recent heavy monsoonal rains, this year, the city has experienced the worst water logging in its history. Last month Bangladesh Environmental Lawyers Association (BELA) filed a petition to protect these canals. BELA also provided evidence of pollution and encroachment of the canals, which are the prime causes of the capital’s growing water logging problem. 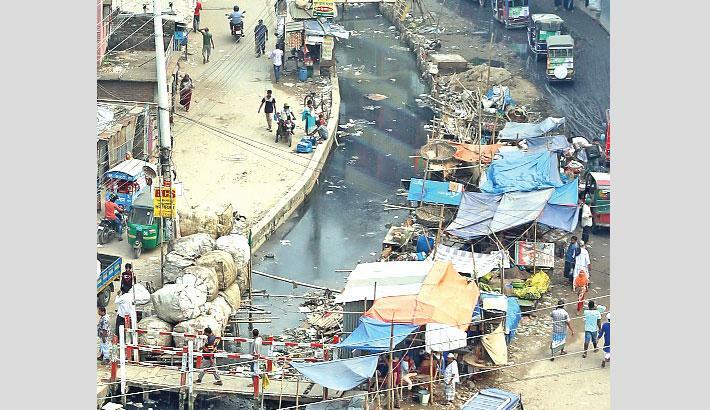 The Supreme Court of Bangladesh directed an order on 4th December to prepare and submit a time-bound action plan for the recovery and restoration of the capital’s 50 canals, which further demarcates their boundaries according to their original flow. The court also directed the Government to include in the action plan a list of encroachers and land grabbers and a proposed program for evicting them. Furthermore, the court issued a rule in which the respondent authorities were given four weeks to explain why they failed to protect the canals.